How to use ByteCopy ? Pavtube ByteCopy is your best Blu-ray/DVD backup and conversion tool that can rip Blu-ray and DVD to lossless MKV and multi-track MP4/MOV. Various audio/video output formats including 3D SBS MKV are also supported so that you’re able to watch videos effortlessly on different devices like VR Headsets. 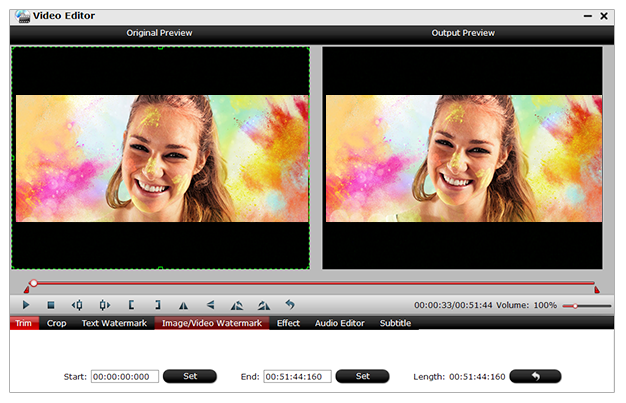 If you want to extract one or several video clips for enjoyment or business, take a try with the built-in video editor. Make 3D videos out of 2D Blu-ray/DVD sources in 3D MKV/ MP4/ MOV/ WMV/ AVI formats with side by side, anaglyph and top-bottom effect. Entire disc copy Blu-ray and DVD to your computer hard drive in original structure and with all information preserved. Copy the main movie from your Blu-ray/DVD discs without annoying previews, warnings and promotional clips. 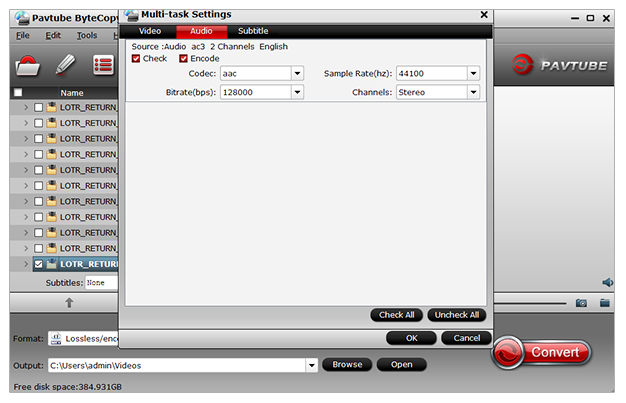 Backup Blu-ray/DVD to lossless/uncompressed MKV with original video quality. 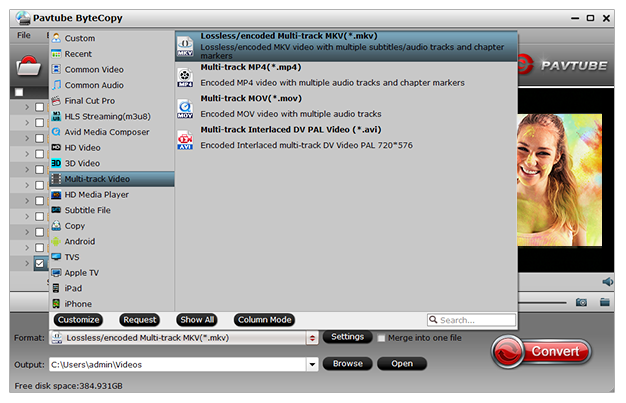 Convert Blu-ray/DVD sources to MP4/MOV/AVI with multiple audio tracks. Allows you to rip Blu-ray keeping DTS Digital Surround,Dolby Digital 5.1 audio, Dolby TrueHD 7.1 audio, DTS-HD Master Audio, Linear PCM sound. 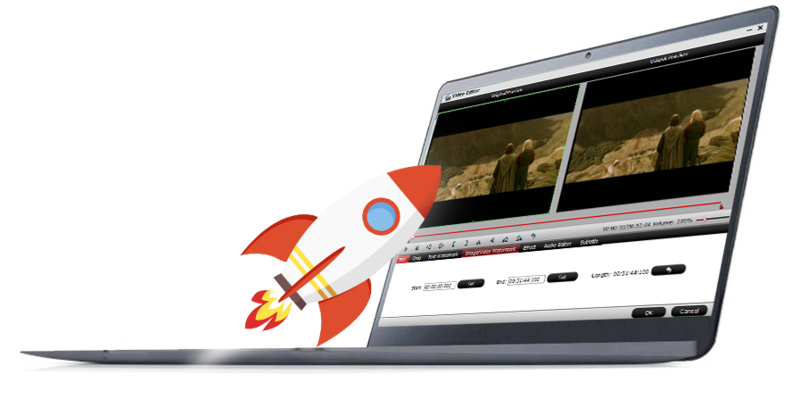 Get your favorite video clips by trimming and remove black bars of the video by cropping. 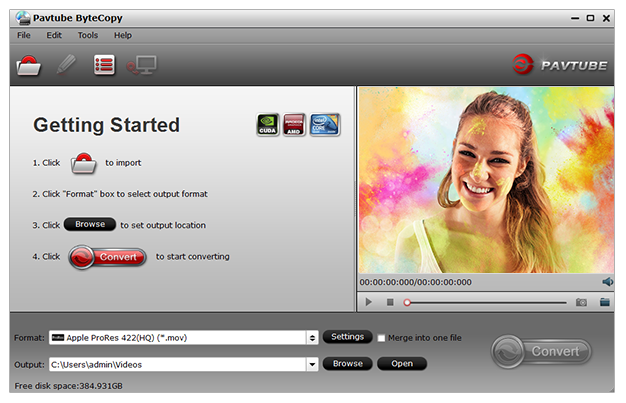 You also can split a Blu-ray/DVD to multiple video clips. By taking the full advantage of the NVIDIA CUDA technology and AMD Accelerated Parallel Processing (APP) technology, largely accelerate video encoding speed when ripping BD/DVD to format by H.264/H.265 codec on Windows. How to Rip Blu-ray/DVD using ByteCopy?